The Edo State Governor, Mr. Godwin Obaseki, has said that the state government will be expanding her real estate stock in partnership with Mixta Nigeria, through the development of a 72-hectare estate, 50-hectare of which will be a golfing estate. 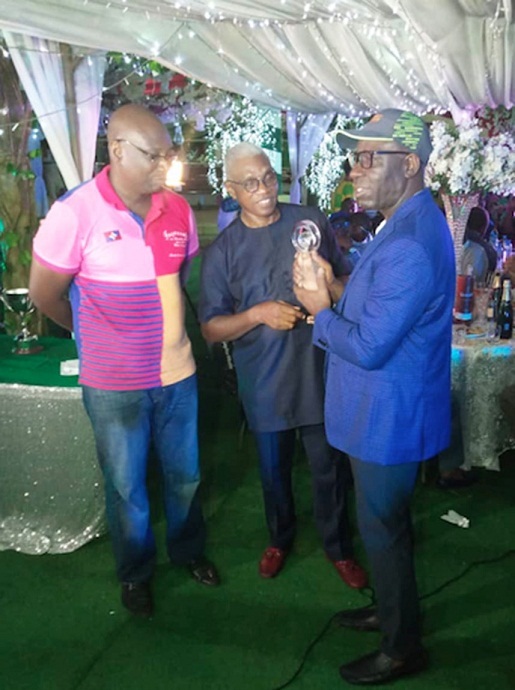 The governor, who made the remark at the Award Night of the Governor’s Cup Golf Tournament held at the Benin Club Golf section, on Saturday, restated his administration’s commitment to sports development in the state. He noted that more attention would be paid to the state’s sports sector to sustain the recent strides in various games. At the award ceremony, Obaseki disclosed that the game of golf has helped him tremendously in focusing on the ‘ball of governance’ in the last two years, and that the evidence of good governance is there for all to see. Other dignitaries at the event were Edo State First Lady, Mrs. Betsy Obaseki; the Deputy Governor, Philip Shaibu; the Chief of Staff, Chief Taiwo Akerele, and the captain of the golf section of the Benin Club, Osagie Nehikhare. He further revealed plans to have the new golfing estate ready by 2022. Commenting on why his administration is committing immense resources and time to sports, the governor stressed that his personal experience in golf has helped him in the area of governance. “When you play the game of golf, you need to focus on the ball, ignoring all forms of distractions. It has helped me tremendously in politics and governance. Golf is a game of life. I have learnt to take lessons from playing the game to governance,” he said. He added that the focus of his administration has resulted in the strides that have been made in sports with Bendel Insurance gaining promotion to the premier league after many years in relegation. He restated his administration’s resolve to continue to back the annual Governor’s Cup. Governor of Plateau State, Simon Lalong; Edo State Deputy Governor, Philip Shaibu; his wife and other golfers received trophies in various categories of the tournament.